Soy Peptone GMO-Free, Animal-Free is a specially designed product, Soy peptone is a papaic digest of defatted soybean meal. 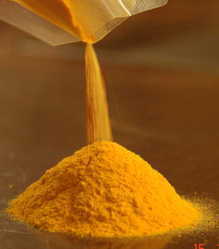 It is used in culture media for the cultivation of a wide variety of microorganisms including bacteria and fungi. It is an excellent source of vitamins and carbohydrates. The raw material to produce this soy peptone is guaranteed to be GMO-Free and Animal-Free (eliminates TSE/BSE issues). It is recommended for use in microbiological, tissue culture and fermentation media. Yeast Extract is a water soluble extract of selected autolyzed yeast cells. It is rich in vitamins, especially B complexes, amino acids and other growth factors. It is used in many microbiological culture media formulations as an excellent growth source. Yeasts extract is considered a principal enrichment factor in culture media in light of its high content of carbohydrates, vitamins, growth factors and amino acids. It promotes growth of a wide variety of microorganisms, including yeasts and molds. Acid Hydrolysate of Soy Tech/Pure is an enzymic hydrolysate of GMO Free Vegetable Soy Proteins that gives comparable growth promoting properties as animal origin peptone. It is recommended for use as a culture media ingredient in variety of media as well as for commercial production of enzymes, vaccines, antibiotics and other products. It can successfully replace animal origin peptone in all culture media.